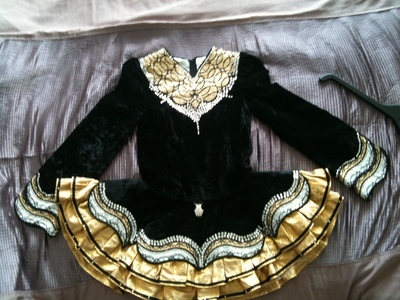 Gorgeous black and gold velvet dress ideal for Championship level dancer. 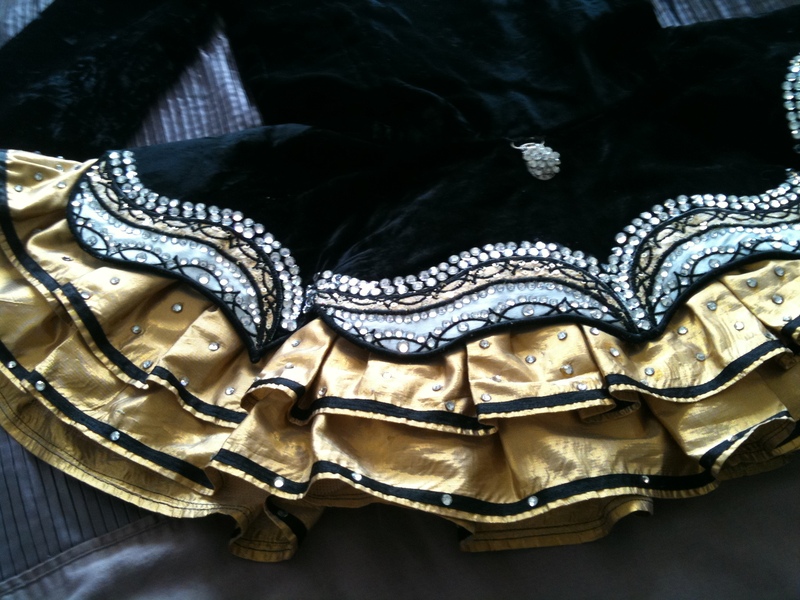 This dress is absolutely stunning on-stage, it is adorned with Â£200 worth of Swarovski crytals which give it fantastic sparkle. 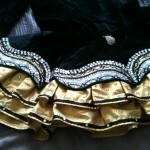 It comes with a gorgeous crystal brooch sewn on to hold the soft cape, and a crystal number clip, also sewn on. Worn about 5 or 6 times, selling due to growth spurt. Room for let out and let down just over an inch each. Asking Price: Â£495 O.N.O. Shipping costs not included. Sale is final.